Rental Php 28,000.00 for max 36 persons. The best way to explore the Philippines is by banca. This banca is special made for comfort and comes with a shower and bathroom. 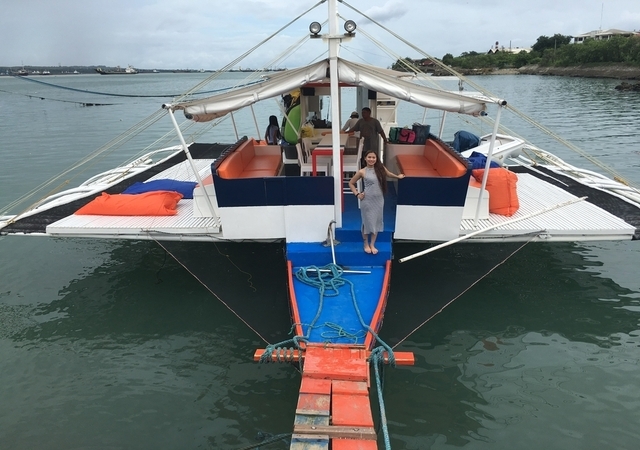 Probably the most modern banca around Cebu is ideal for groups to explore the island but also ideal for just a drop off at your resort on Panglao Island. the inconviniency by using car/ferry from mactan airport to Panglao becomes suddenly a very enjoyable trip with barbeque and lots of snorkling options.